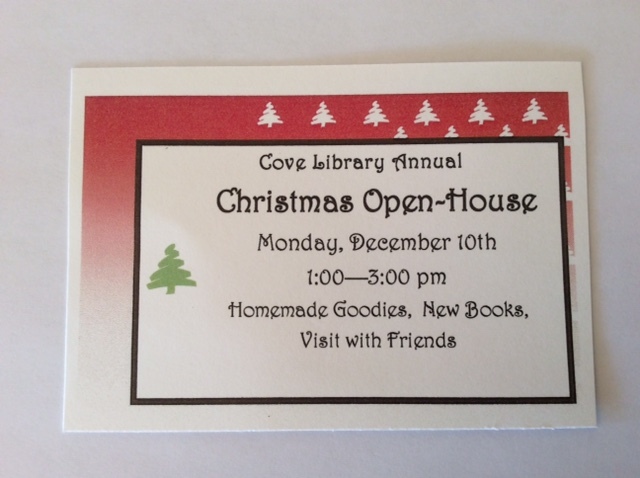 In case your invitation did not arrive yes, mark your calendar for Monday, Dec. 10th for the Cove Library’s annual Christmas Open House. This entry was posted in Events, library. Bookmark the permalink.